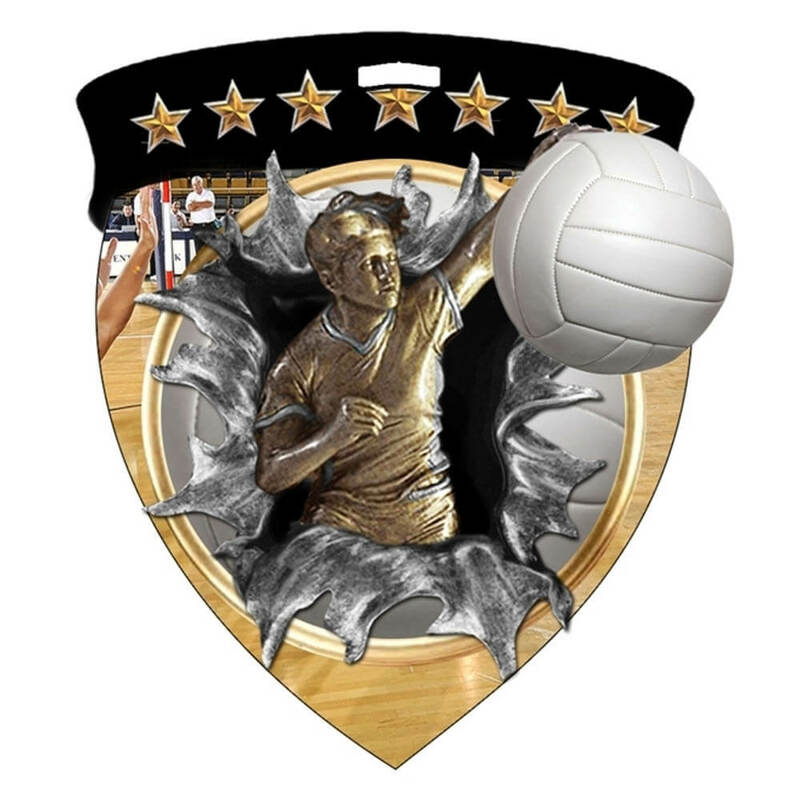 The CSM Medallion features a brilliant VIBRAPRINT epoxy dome on a 2 5/8″ X 3″ shield, showcasing an exciting volleyball scene with figures bursting through the medal. The back is finished black and accepts laser (shows through silver) or engraved customization for that extra special touch. Can also be used as a plaque mount.